A recent report by the National Planning Authority in Uganda has revealed that the country is still among those where levels of hunger remain high (NPA, 2017). According to this report, the daily diet of Ugandans only comprises 1,860 calories instead of 2,200, which indicates the country may not attain Sustainable Development Goal (SDG) Two. SDG 2 commits countries to end hunger, achieve food security, improve nutrition and promote sustainable agriculture. Funding for the agricultural sector in Uganda has in the financial year 2017/18 been boosted with an increase of shs 828 billion. However, it may be too soon to tell how this increased budget will facilitate and contribute to the realisation of the citizen’s rights to food, especially improved nutrition. While problems with diet affect broad sections of the population, the most negatively affected are children. The report states, “Uganda has for long struggled to feed her people, especially children below the age of five who remain stunted due to poor feeding”. The age could even go up to 10 years, during which time children’s brain development and learning abilities are affected for the rest of their lives. Uganda currently has a government initiated school feeding programme aimed at addressing short-term hunger, while making learning easier for children, reducing drop-out rates, encouraging enrolment and enabling the government to achieve its overall education goals. However, it is restricted to a few regions in northern Uganda and relies heavily on time-bound donor support. In addition, it does not promote the consumption of diverse, nutritious foods essential for children’s growth and overall development. A new approach, planting nutritional gardens in institutions of learning, would present a much more viable prospect for readily available nutritious foods for students to supplement their diets. The presence and use of school gardens also provides valuable real-life lessons about nutrition and diets that students will rely on long after they leave school. The long-term proposal is for the nutritional gardens to be embraced as part and parcel of the curriculum with the active participation and involvement of students and teachers. At demonstration sites, a variety of crops would be grown of diverse species, such as legumes and vegetables, to give students practical knowledge they can take back home. Traditional species of crops at risk of disappearing could also be preserved through the gardens. 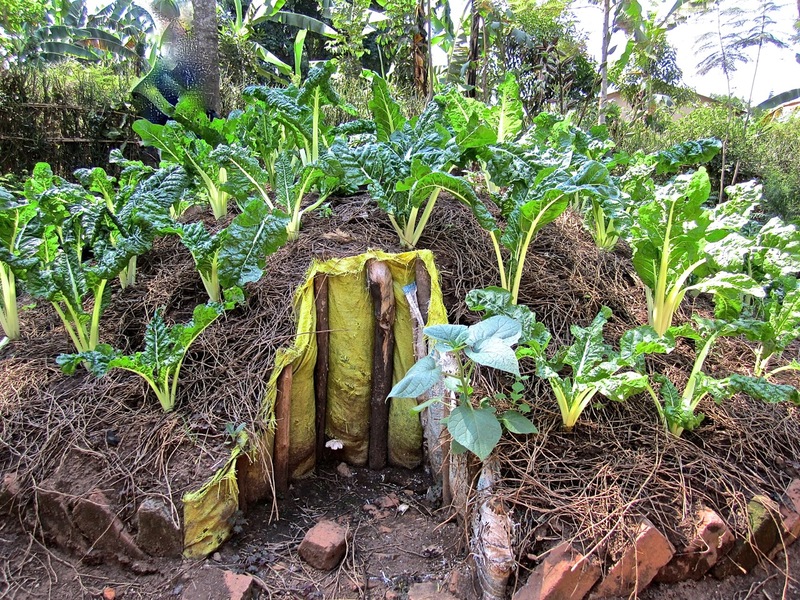 Kabarole Research and Resource Centre (KRC) in western Uganda, working with Hivos under the Sustainable Diets for All programme, has initiated talks with Kabarole referral hospital to begin a prototype vegetable garden in the hospital. The idea is to show mothers how to grow vegetables when they visit antenatal clinics and for other hospital visitors to learn about growing their own food as well. KRC plans to present its project to the ministries of Education and Health with the hope that it could be adopted as part of school curricula and feeding programmes. If implemented, nutritional gardens could be the magic bullet to improved nutrition not only of children, but also of expectant mothers, thereby also helping to reduce current high rates of maternal mortality.